Trimpley Sailing Club – the home of Rio 2016 Olympic sailor and newly-crowned Laser Radial World champion, Alison ‘Ali’ Young – is inviting you and your family to try sailing for free this Saturday (21 May) after being awarded a prestigious quality ’tick mark’ from sailing’s national governing body, the RYA. The club, near Bewdley, has been approved as an official RYA Training Centre meaning it can now run RYA dinghy sailing courses known and respected the world over and that meet the highest standards of quality and safety. Each year more than 220,000 people take an RYA training course across the whole range of boating activities at over 2,400 recognised RYA training centres worldwide. The British Sailing Team’s Ali, who clinched her first World title at the Laser Radial Worlds in Mexico last month, started sailing with her family at Trimpley SC when she was nine and honed her racing skills with the Worcestershire School Sailing and Canoe Association. Rio 2016 will be her second Olympics. Now you and your family can follow in Ali’s wake and give sailing a go as the club opens its doors from 12pm on Saturday as part of RYA Push The Boat Out, the nationwide ‘have-a-go’ at sailing festival giving all comers the chance to get on the water and experience a brand new sport. Jonathan Websdell, Trimpley SC Commodore, believes becoming a recognised RYA Training Centre will help the club take a step forwards in helping even more local people go from just trying sailing to become regulars in this Olympic year. He said: “There is no doubt 2016 presents a massive opportunity for this club to raise the profile of sailing locally and show people just how accessible the sport is. We’re all so proud of what Ali continues to achieve flying the Trimpley flag on the biggest international stages, and she is a real inspiration for anyone who thinks it isn’t possible or it’s too expensive to go sailing so close to home in Worcestershire. For a whole family to be members at Trimpley SC costs just £10 a month, while you don’t even need to own a boat to go sailing as the club has boats that can be borrowed for as little as £4 per session. All you will need to get afloat on the Open Day is some comfortable clothes and old trainers you don’t mind getting wet and, weather depending, a waterproof and/or sunscreen. Buoyancy aids, equipment and safety brief will be provided and refreshments will be available. 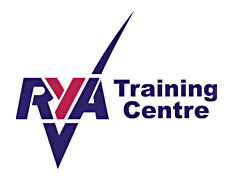 Trimpley SC joins the network of recognised training centres able to use the prestigious RYA ‘tick mark’ logo, which will also help in attracting funding to expand what they do.